As a manager, you may want to see if an employee has made changes to their Goals and/or Key Results. This is available in the Goal Audit Log. To find the goal audit log, click into any goal, below the object and key results, click on Audit Log next to Timeline. 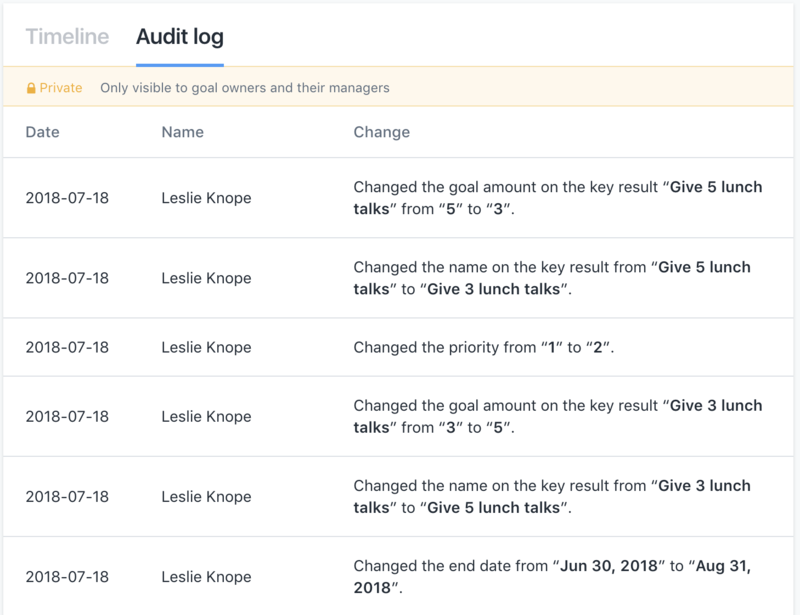 What is tracked in the Audit Log? Who can see audit logs?